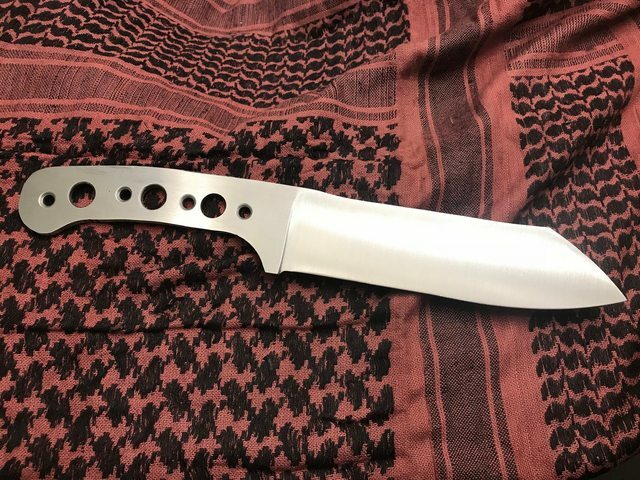 I really needed to mount scales on some of the blades I have recently finished but I was moving some blade steel in the shop and this piece of 80CRV2, 3/16" grabbed my attention. So I spent most of the afternoon grinding to this shape. Roughly 13" long. Still need to heat treat, quench and temper - might do that tomorrow. That looks like a great chopper. Love it! Is the blade 13” or is that oal? Great job as always OP!